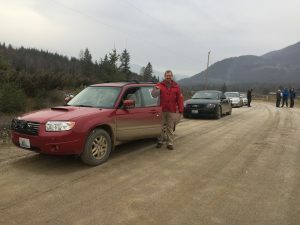 The team of Paul Eklund and Yulia Smolyansky lead the field at the 2018 Totem Rally (November) in Cache Creek, BC See results below (hope formatting is not too messed up) Conditions were slippery and variable, but MOST cars made it thru unscathed. The team of Eklund/Smolyansky had a commanding win at Totem in 2016 in heavy snow conditions. They finished 3rd in 2017 after an early mistake put them down by 20 seconds. Can’t wait for the snowy THUNDERBIRD RALLY in early Feb 2019. 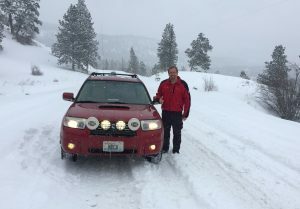 See www.rallybc.com for info and details!